“Takraw” is Thai for “hand-woven ball”, and indeed each ball is meticulously woven by the workers at GAJAH EMAS, Malaysia, to provide a durable ball with a true round surface and accurate bounce performance. The varying appealing colors actually represent various levels of balls, with each higher level being a little heavier (better feel of the ball/control) and a little more tightly woven (springier bounce/faster game). 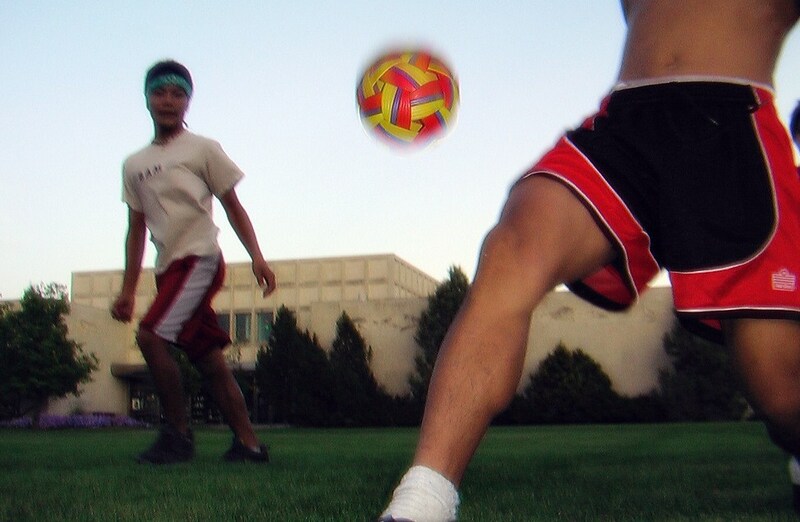 An air-filled ball is far too bouncy for this type of game; therefore the Takraw is perfectly suited for its purpose. NETPRO Takraws, by GAJAH EMAS, are durable, safety tested and certified, comply with the rules of the game as stated in the official international rules governed by the International Sepak Takraw Federation (ISTAF) and are used widely in Canada (see Sepak Takraw Association of Canada), USA, Europe and Asia. - 145 grams. - Viking purple with bright yellow center strip. - Light weight, soft synthetic ..
- 155 grams. - Pine green with bright orange center strip. - Medium weight, medium hard synth..
- 160 grams. - Red & white outer strips with black center strip. - slightly heavier weigh..
- 170 grams. - Beige with brown center strip. - Heavier wieght, for better ball control for m..
- 178 grams. - Beige with dark brown center strip. - Heavy weight, hard synthetic, very tight..